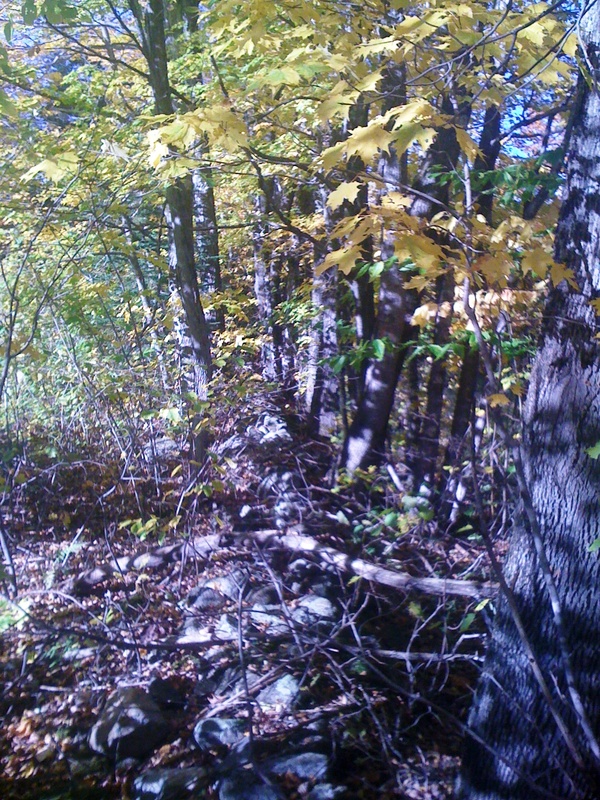 Walk in the woods almost anywhere in New England or drive along almost any road and you are likely to come across a stone wall. We take them for granted. We rarely pause to consider who built these walls, when were they built or even why. Last summer, I did my own personal stone wall reenactment. I built a stone wall. Really it was just moving rocks which came out of the foundation for an addition on our house. I had the help of an excavator for three very large boulders. Other than that, it was a wheelbarrow and my own feeble arms carrying and placing these rocks. I got about to a length of about 30 feet and a height of 3 feet at most before I realized that I had bit off more than I could chew. While it looks nice, I have no illusions that it will last as long as the stone walls I saw recently walking up Mt. Greylock, or similar ones in the woods around Rangely Maine. Several things leap to mind immediately on seeing these walls. First, they are now in the middle of woods. When they were built, they were most likely thrown together to demarcate fields and pastures. These thick woods were once pastures. How quickly have they reverted back to their natural state! These are small plots of farmland they mark off, probably accounting for why farming in this region lost out to the much larger, commercial and industrial farms of the MidWest. Second, the walls go on and on, much longer than my miserable little 30 feet, extending along and breaking up 10 and 20 acre plots. This was a monumental exercise therefore, one which had to take place over many years. If one author estimated that it would take two men to lay 10 feet of stone wall in one day, why did it take me so long to go just 30 feet? Stone wall studies often cite an 1871 report undertaken by the Department of Agriculture, Statistics of Fences in the United States. There, it is estimated that Connecticut had 20,505 miles of walls, Massachusetts perhaps as much as 16,000 miles and New York 95,364 miles!! One author surmised that it would have taken 15,000 men 243 years to construct the stone walls in New York and New England. That may surpass the pyramids. Next, just how many rocks could a farmer move from a field? He probably had help, in the form of oxen and wooden sliders, his sons, or tenant farmers or even slaves. The earth kept providing stones for the farmers to move, each winter would churn the earth to provide another crops of stones to be moved. And, did he follow a technique that was widely accepted? The old adage of “one rock covering two and two rocks covering one” probably gave the wall its height, but not its broad width, without mortar? Perhaps, he just threw them in a pile. These walls do speak. They take us back to a different life, a back-breaking life, of subsistence farming, of years of the same kind of drudgery, work with little change. And then it changed. Our human attempts to control our environment were in the end short-lived. 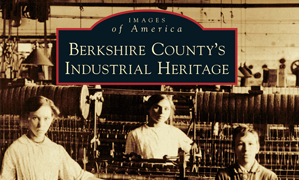 This entry was posted on October 26, 2011, 2:13 pm and is filed under Berkshires, Colonial, History in our surroundings. You can follow any responses to this entry through RSS 2.0. You can leave a response, or trackback from your own site.